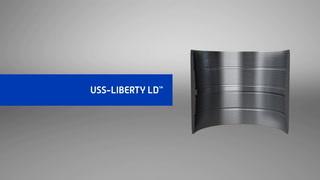 The USS-LIBERTY LD® is a semi-premium casing connection designed for surface casing applications and intermediate offshore strings. This rugged connection features a proprietary deep stabbing, two-step thread profile for trouble free makeup and maximum output, consistently reducing time and costs. Available in outside diameters ranging from 16 to 20 inches, the USS-LIBERTY LD® has been tested to exceed API 5C5 CAL I guidelines, including internal and external pressure testing combined with tension and compression load. Download the USS-LIBERTY LD® brochure now. Also, visit the Connections Performance Data to review the product datasheet.